Spare parts ideal in case of failure, wear, breakage ... on your ignition by MALOSSI SELETTRA. 191,96 € 191.96 tax incl. Rotor + stator of replacement for lighting MHR SELETTRA scooter engines MINARELLI Vertcial and Horizontal. Ideal for replacing worn parts of your lighting of competition. 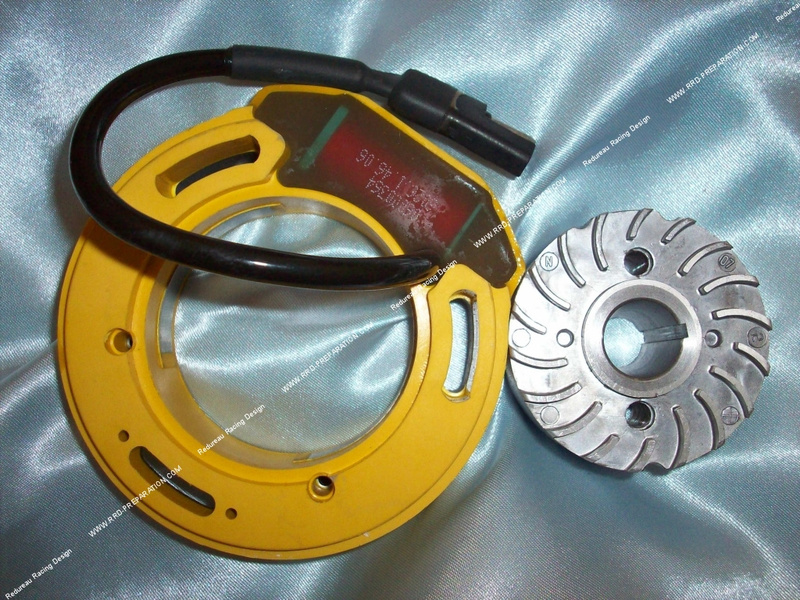 Stator and rotor delivered bare, as presented.